Sunny Ethiopia Tours have fulfilled the dreams and aspirations of many luxury travelers from around the world for more than 8 years. At Sunny Ethiopia Tours, we custom design your luxury travel to suit your available time to travel, your specific interests and travel lifestyle. With an outstanding and expert personal knowledge about all our destinations, along with the skill and ability to innovate, we have the knowledge and genuine desire to understand our client’s sophisticated luxury holiday needs. We can custom design an excellent itinerary with comfort to some of the most magnificent attractions Ethiopia has to offer with private charter or helicopter combined with luxurious ground transport as well as comfortable lodging. There are a number of luxurious international standard hotel options in the capital city of Addis Ababa with an excellent standard lodges and eco resorts in the major tourist destinations in Ethiopia. Explore the amazing rock-hewn churches of St. Lalibela, often referred by many as ‘the living wonders of the world’. Enjoy the splendid view of the magnificent Simien Mountains. Take helicopter safari and picnic in the spectacular Tigray rock churches, Gheralta Cluster. You may also want to explore and enjoy the spectacular views as you fly over on top of the Ertale Lava Lake and on out of this world Danakil Depression landscape. Admire the remote tribal tour to Surma and Kibish. 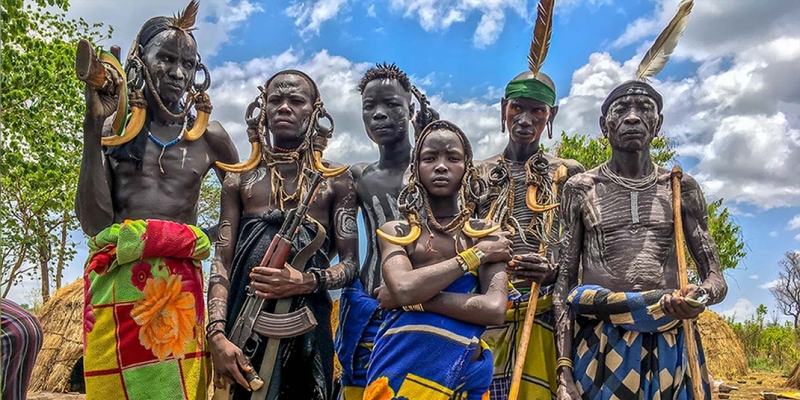 Take a charter flight to travel in to the Ethiopian Great Rift Valley, thousands of years back in time to be among the exotic tribes of the Omo Valley and get lost in their world. Discover the very best of Ethiopia when you travel with Sunny Ethiopia Tours. Enjoy insider experiences, ancient African Civilization, amazing wildlife encounters, unique cultural interactions and a host of extraordinary moments on one of our Ethiopia Luxury Tours.